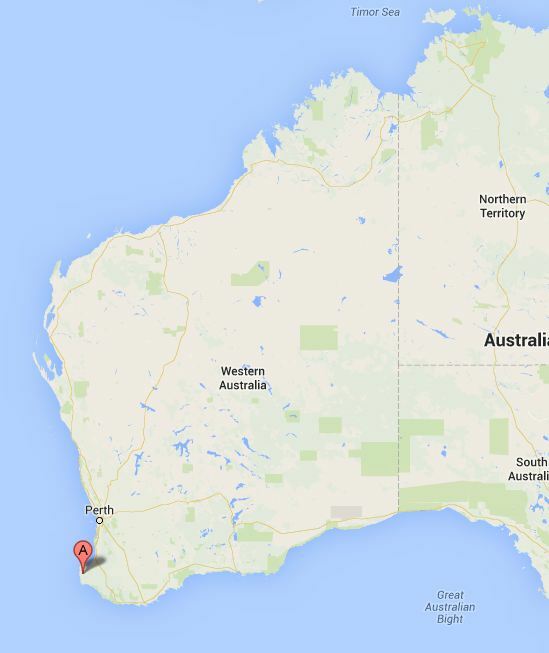 Perth, the capital of Western Australia, is the most remote city in the world, at the southern end of the biggest state in Australia. Even further south, tucked away at the far southern toe of the state, inside a national park, is a small former timber-town; Margaret River. Because hardly anyone ever goes to Perth unless they actually have to – business, or family, usually – most of what Western Australia has to offer goes completely unnoticed by the rest of the world, including a coral reef that is virtually untouched and rivals the Great Barrier Reef in terms of size, beauty and wildlife—and it’s in water so shallow you can wade with the whale sharks and play with the dolphins each evening (Ningaloo Reef)…and some of the best beaches and wineries the world has to offer…and a lot more. Margaret River is an anamoly in Australian terms. 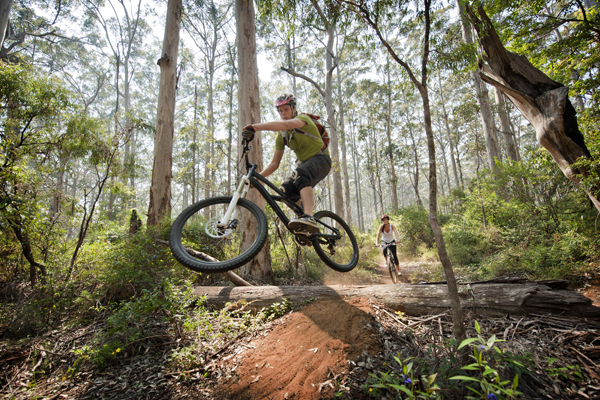 It sits on a river – the Margaret River – and began life as a timber town for the peninsular is covered in the beautiful and prized tall hardwood jarrah and karri trees. But timber cutting is banned now, and the entire peninsular has been declared a national park. But then Margaret River discovered its second purpose in life. In the 1970s and 1980s the surfer community discovered that the beaches around the Margaret River area were spectacular not just in picturesque terms, but that the waves were something else, too. Prevelly, the beach directly off the mouth of the Margaret River, was quickly tabbed “The Bommie” by surfers, and it acquired an international reputation for its regular twenty-foot+ waves. The other beaches around the area were equally as prized, but Prevelly was added to the International Surfing Federation’s annual competition circuit, and Margaret River became a yearly go-to spot for a small slice of globe-trotters. Every summer, Margaret River exploded with surfers, surf fans, hangers on, dudes, chicks, and the support network that goes with the surfing lifestyle: bands, more fans, journalists and photographers, groupies…and people who just like the laid-back lifestyle. It didn’t take long for both Australians and foreigners to notice the untouched forest setting of Margaret River, and the relative isolation. Forest, a mild climate, pristine beaches and international quality surfing, along with a town that was quickly building support services to meet the tastes and needs of an international market. By the 1990s the Margaret River area had acquired a semi-permanent population of people that would take an hour to describe themselves if you asked them, but best fit under the label of “alternative lifers”. Many were living off the land and attempting to be completely self-sufficient, while many more were straddling the self-sufficiency line – living very low-income lifestyles that let them enjoy the best of both worlds. These days, Margaret River is an odd pocket of international culture and tourism deep in the heart of countrified Western Australia. The influx of people from around the world repeats every summer, opening the town and the area up to global influence, thought, ideas and attitudes, as well as some of world’s best athletes and journalists. In winter, the town caters to its permanent population; surfers, tourism operators, the odd farmer, business owners and modern hippies who are still clinging to the lifestyle. 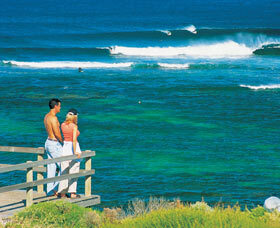 It’s another of Western Australia’s best kept secrets and well worth the trek if you can make it, especially in summer. It’s Margaret River’s unique qualities that let me set Terror Stash there. No other location in the world could have made the story possible.